2. Qifeng Wang, Tung-Ping Su,Yuan Zhou, Kun-Hsien Chou, I-Yun Chen, Tianzi Jiang*, Ching-Po Lin*, Anatomical Insights into Disrupted Small-world Networks in Schizophrenia, NeuroImage, vol. 59, no. 2, 2012, 1085-1093. 3. 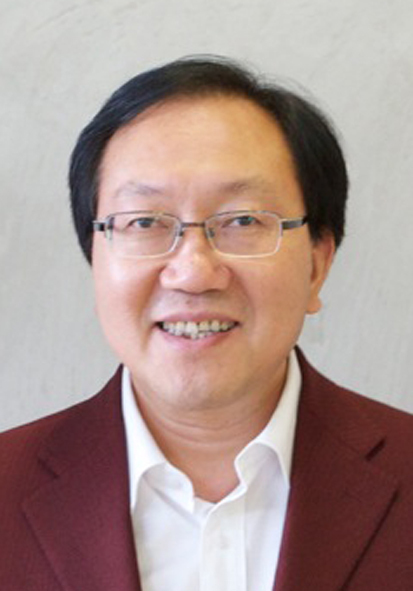 Yong Fan*, Yong Liu, Hong Wu, Yihui Hao, Haihong Liu, Zhening Liu*, Tianzi Jiang*, Discriminant analysis of functional connectivity patterns on Grassmann manifold, NeuroImage, vol.56, no.4, 2011, 2058-2067. 4. Zhijun Yao, Yuanchao Zhang, Lei Lin, Yuan Zhou, Cunlu Xu, Tianzi Jiang*, Abnormal Cortical Networks in Mild Cognitive Impairment and Alzheimer’s Disease, PLoS Computational Biology, vol. 6, no. 11, 2010, e1001006. 5. Bing Liu, Ming Song, Jun Li, Yong Liu, Kuncheng Li, Chunshui Yu*, Tianzi Jiang*, Prefrontal-related Functional Connectivities within the Default Network are Modulated by COMT Val158Met in Healthy Young Adults, Journal of Neuroscience, vol.30, no.1, 2010, 64-69. 6. Yonghui Li, Yong Liu, Jun Li, Wen Qin, Kuncheng Li, Chunshui Yu, Tianzi Jiang*, Brain Anatomical Network and Intelligence, PLoS Computational Biology, vol.5, no.5, 2009, e1000395. 7. Jiefeng Jiang, Wanlin Zhu, Feng Shi, Yong Liu, Jun Li, Wen Qin, Kuncheng Li, Chunshui Yu* and Tianzi Jiang*, Thick Visual Cortex in the Early Blind, Journal of Neuroscience, vol. 29, no. 7, 2009, 2205-2211. 8. Yong Liu, Meng Liang, Yuan Zhou, Yong He, Yihui Hao, Ming Song, Chunshui Yu, Haihong Liu, Zhening Liu, Tianzi Jiang*, Disrupted Small-world Networks in Schizophrenia, Brain, vol. 131, no. 4, 2008, 945-61. 9. Kun Wang, Tianzi Jiang*, Chunshui Yu, Lixia Tian, Jun Li, Yong Liu, Yuan Zhou, Lijuan Xu, Ming Song, and Kuncheng Li, Spontaneous Activity Associated with Primary Visual Cortex: a Resting State fMRI Study, Cerebral Cortex, vol.18, no.3, 2008, 697-704. 10. Yuan Zhou, Meng Liang, Lixia Tian, Kun Wang, Yihui Hao, Haihong Liu, Zhening Liu*, and Tianzi Jiang*, Functional Disintegration in Paranoid Schizophrenia Using Resting-state fMRI, Schizophrenia Research, vol. 97, no.1-3, 2007, 194-205. 11. Yong Liu, Chunshui Yu, Meng Liang, Jun Li, Lixia Tian, Yuan Zhou, Wen Qin, Kuncheng Li, and Tianzi Jiang*, Whole Brain Functional Connectivity in the Early Blind, Brain, vol.130, 2007, 2085-2096. 14. Yufeng Zang, Tianzi Jiang*, Yingli Lu, Yong He and Lixia Tian, Regional Honogeneity Based Approach to fMRI Data Analysis, NeuroImage, vol. 22, no. 1, 2004, 394-400. 15. Tianzi Jiang*, Yong He, Yufeng Zang, and Xuchu Weng, Modulation of Functional Connectivity During the Rest State and the Task State, Human Brain Mapping, vol. 22, no.1, 2004, 63-71. Cuban Neuroscience Center, Cuba (Professor Pedro A. Valdes-Sosa).